Want to see when you last contacted clients? That’s easy with this quick-filter. Simply add the quick-filter to your sidebar and click the button! The option defaults to 30 days (which will show you all contacts/companies which have not been contacted in the past 30 days), but you can change the day-count in the settings (walkthrough below). 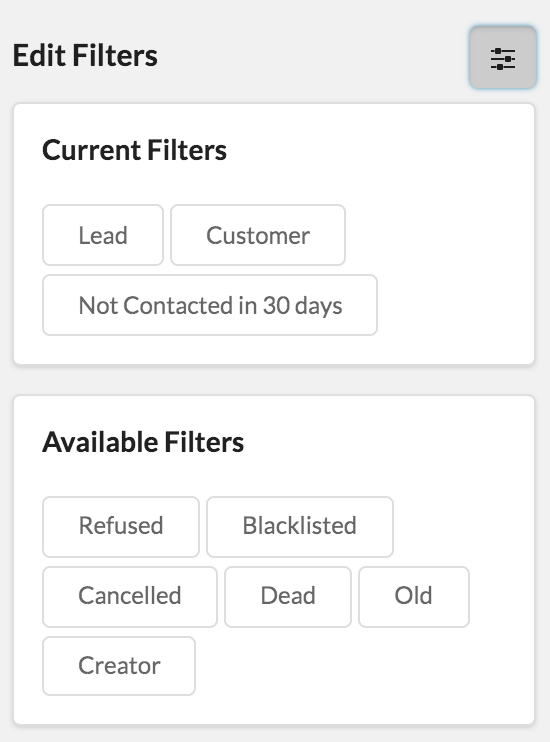 There’s also a new column which is useful to use in conjunction with this Quick-filter, “Last Contacted”. You can add this to your list view by clicking the column editor icon (top right config button), and then dragging the column “Last Contacted” over into your active columns. This’ll show you when you last contacted each contact or company, which is really useful if prioritising outreach. That’s it! You can now click that button (Not Contacted in 14 days), and ZBS CRM will show you contacts (or companies) which you’ve not contacted in 14 days! Side Note: If you change your day count, you will need to re-add your quick filter as above.